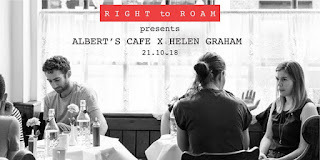 Right To Roam presents Albert's Cafe, the pop-up brunch with guest chefs, is back at The Albertine Wine Bar in Shepherd's Bush on Sunday 21st October with a 3 course meal from Helen Graham. Expect flavours from the Lebanon and Israel - she previously worked at Palomar and The Barbary - including a main course of El Soussi’s lamb confit eggs awarma. Tickets are just £27, and sittings are at either 11am or 2pm. 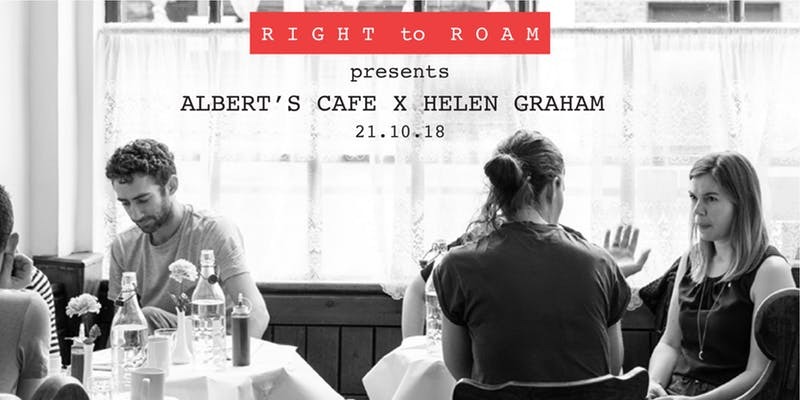 "Right to Roam presents the next Albert's Cafe event, and this time we're delighted to invite the extremely talented Helen Graham (ex The Palomar/The Barbary) to throw down some Levantine love with a menu drawn from her culinary highlights in the Lebanon and Israel. Having worked extensively with Helen I am beyond excited for this, everything she does is considered but buzzing with flavour and energy. Sweet treat: *White chocolate & mahleb mousse plus fun bits*"